If none of our other trips appeal to you, then try this stunning easy bike ride along the Lions Walk. This trip has been designed for those who wish to meander and cruise along the lake front, taking in the beautiful scenery that Lake Taupo has to offer. 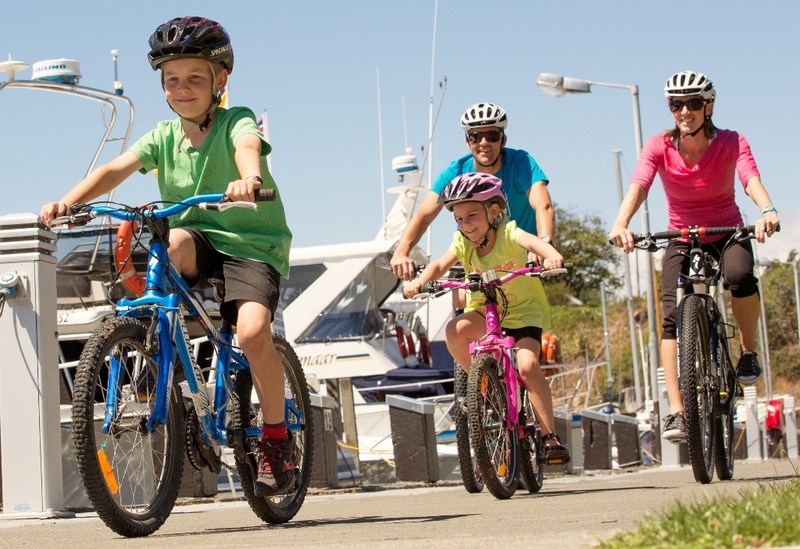 You will meet at our Acacia Bay base where we will load your bikes. From here we will take you as far down the Lions Walk (towards Wharewaka point) as you are wishing to ride. 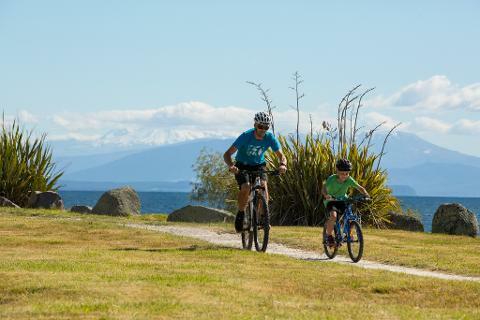 From there you ride back towards town to meet your kayak guide at the Taupo Yacht Club car park, who will then load your bike on the trailer and then equip you for your kayak leg of your journey. You will then enjoy an easy paddle back to our base at Acacia Bay. need to bring and wear.